The truth is out there… in Namibia. 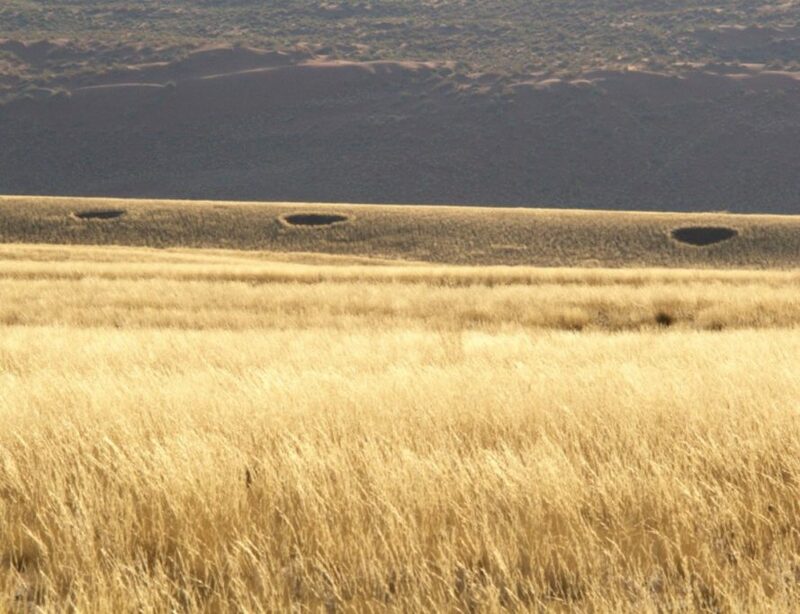 Inhabitat previously reported on the mysterious “fairy circles” that have appeared without explanation in the Namib Desert for millennia. Over the past several decades, scientists have sought to uncover what exactly is causing this mysterious phenomenon. Although recent theories have centered on local termites, scientists had been unable to determine how exactly these creatures created the fairy circles over such a wide range range. The most recent explanation points to aggressive desert plants that fill ecological gaps left by colonizing termites. The fairy circles appear as patches of barren land between seven and 50 feet in diameter that are defined as circular by a ring of prominent grass growth around the edge. Until recently, this was thought to be a uniquely African phenomenon. However, similar examples have been found in the Pilbara region in Western Australia. According to myths of the local Himba people, the fairy circles were created by Mukuru, their original ancestor, or are footprints of the gods. Some local tour guides also promote the legend that the circles are created by a dragon, whose poisonous breath kills the central vegetation. A fairy circle in the Namib Desert. Fairy circles in the distance, Namib Desert.